The pub chips were awesome. They were very crisp and not soggy like you often find at other places. 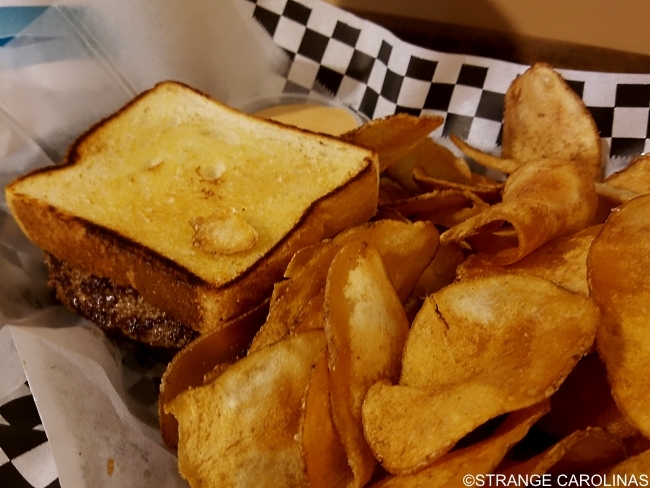 The Carolina Fire Cracker burger had just enough spice and was different than the usual burger fare. As you can see from the photo, the burger was so big and the chips were so plentiful two people could almost share the meal. As I ate, more and more people came in so that the restaurant was nearly full at 11:30 AM, about forty-five minutes before most lunch rushes start. 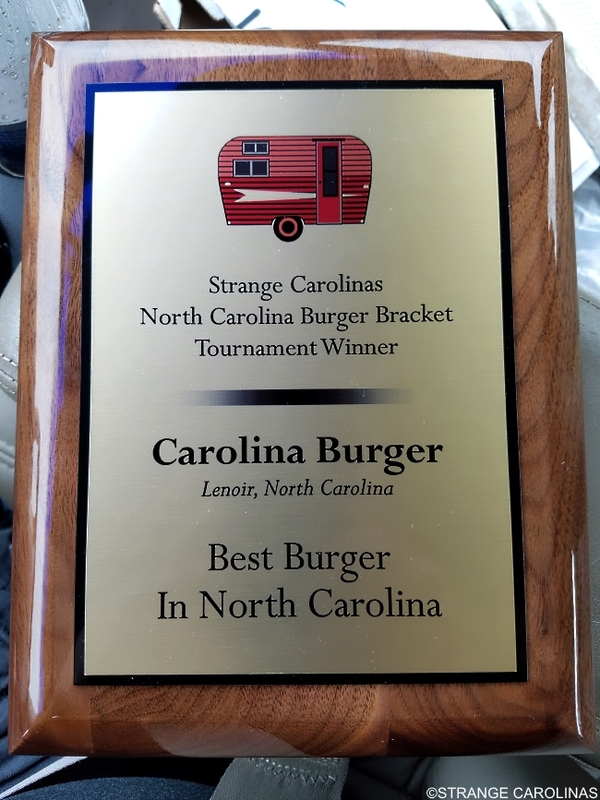 After eating the burger and seeing the crowd, I can see why they won our North Carolina Burger Bracket tournament, besting bigger restaurants in bigger cities. There's a reason they're called Carolina Burger. 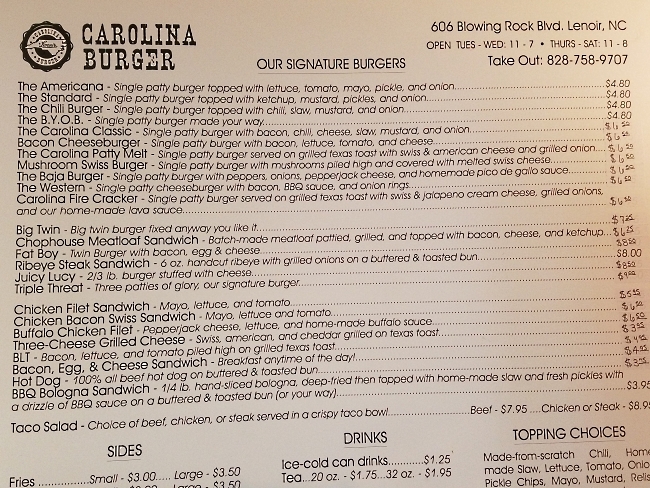 Carolina Burger is located at 606 Blowing Rock Boulevard in Lenoir. 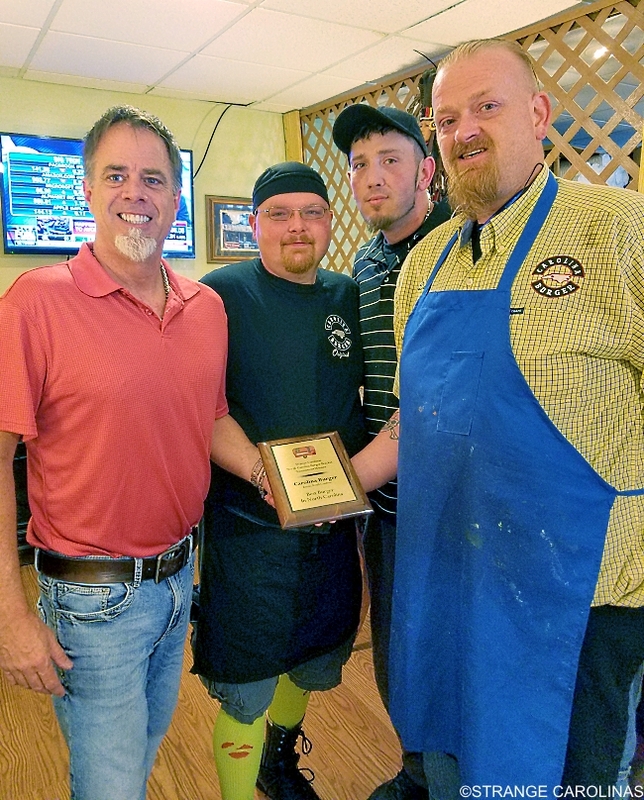 In addition to winning our North Carolina Burger Bracket tournament, they have also been named Best Burger by the people of Caldwell County every year they've been open.